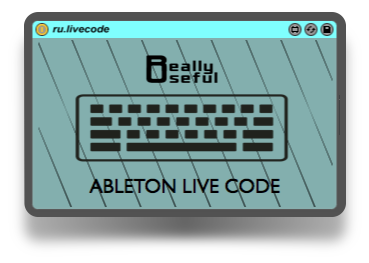 A simple live coding environment for Ableton Live that lets you control Ableton through text-based code. 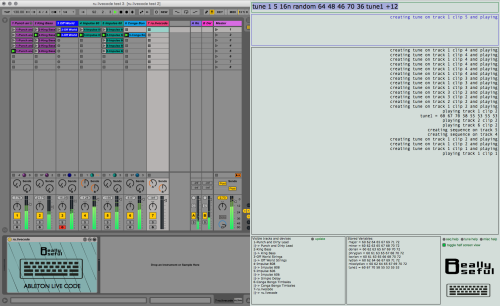 Also includes a split-view option for projecting Ableton and the coding window 50/50. Disclaimer - isn't a particularly smart language for live coding and we highly recommend that you use open source technologies for live coding!